Sophia Richardson returned to Blackburn Dental Group in October 2016 following further studies in Australia and the UK. She is a Melbourne-trained Oral and Maxillofacial Surgeon and obtained her Dental and Medical degrees at the University of Melbourne, before completing advanced training in Oral and Maxillofacial Surgery. 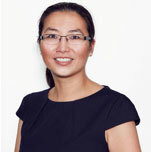 After attaining her speciality fellowship FRACDS(OMS), Sophia undertook further subspecialisation in orthognathic and maxillofacial trauma surgery at The Royal Melbourne Hospital (2012), and The Oxford University Hospitals Trust UK, where she was the Senior Clinical Fellow in: orthognathic and maxillofacial trauma surgery, salivary gland pathology, and head and neck oncology (2013-2014). Since her return to Melbourne and private practice, Sophia plays an active role in teaching maxillofacial registrars and in ongoing research in Australia and United Kingdom. She looks forward to participating in voluntary overseas surgical aid programs with her husband who is a Plastic and Reconstructive surgeon. Sophia has two children, and outside of work she loves family time, photography, travel, architecture, and music.